Alex Klose, VP of Marketing at IMImobile, looks at the opportunity for enterprises to differentiate customer experience by combining new rich-media messaging channels such as RCS (Rich Communication Services) with customer journey automation platforms. There is no doubt that consumers have a huge desire for messaging-based experiences. In fact, 66% of consumers prefer to reach brands, or be reached by brands through messaging apps, and two-thirds expect to increase their engagement with businesses via messaging channels over the next two years. 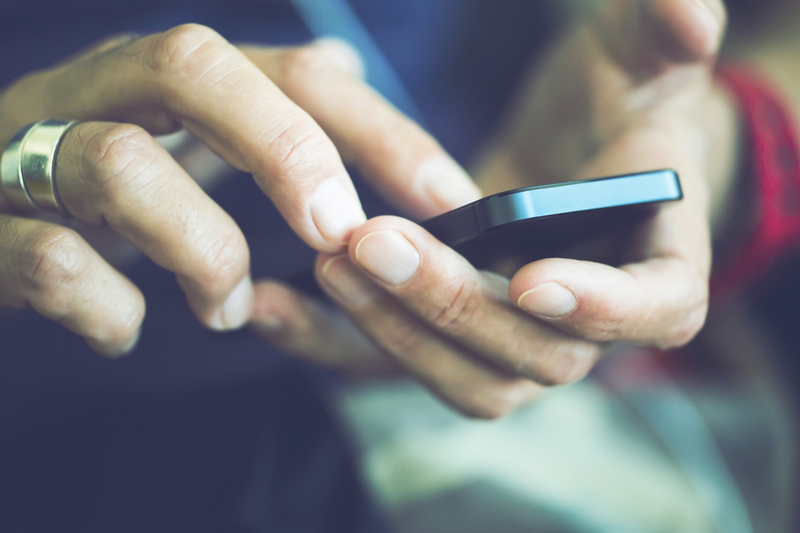 The role of messaging is becoming instrumental for how consumers interact with brands and with increasing app fatigue, enterprises must ensure they adapt to the shift in consumer behaviour towards new messaging channels. Not only is it about meeting customer expectations for how they want to engage and access services, but also about responding to increasing competition from agile start-ups who have enabled their entire service offering on channels such like Facebook Messenger. The race to engage, win and differentiate through messaging-based experiences is well and truly on. So how can enterprises get ahead? The battleground amongst companies like Amazon, Apple, Facebook and Google to provide rich media messaging services is well under way. There’s Facebook who launched Messenger 2.0, WhatsApp who earlier this year launched ‘WhatsApp Business’ in five markets, as well as Google’s latest support of Rich Communication Services (RCS) for Android devices, and there are even rumours about an Amazon messaging app. But no matter which company or messaging service, the objective is very simple – they all seek to be the medium for consumers and businesses to talk to each other. Whether that’s through the use of AI-powered chatbots, high-res image carousels, videos, audio, action buttons, and much more, to transform conversational messaging experiences. At IMImobile, we believe that for enterprises, it should be less about which messaging channel is used to engage with consumers and more about the opportunity to automate customer interactions, services and self-care across business systems and processes. Using a customer journey automation platform that can seamlessly integrate with back-end systems, enterprises can unify integrations of any messaging channel, connect siloed business systems and link these to specific communication triggers and business processes. By doing this, CX professionals and developers have a central hub for managing two-way customer interaction across multiple channels. 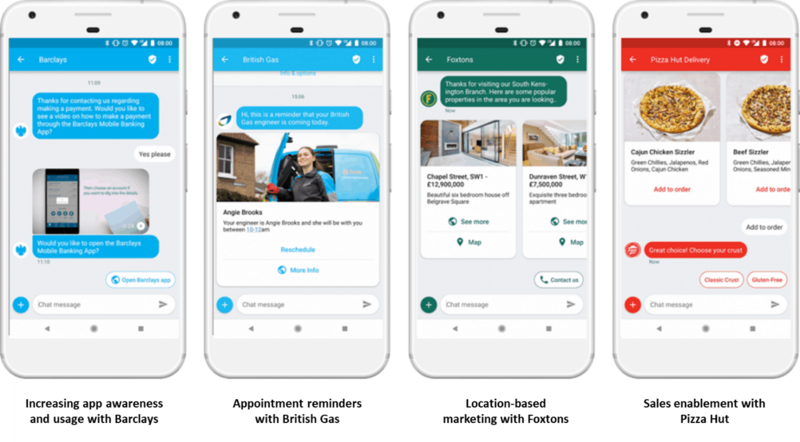 With all the necessary integrations and assets centralised, customer journeys can then be mapped to combine the use of data and rich media messaging functionality. This is the fastest and most cost-effective route for enterprises to create highly personalised, contextual and automated experiences, ultimately helping them to improve CX on the messaging channels that are most relevant to consumers. To help further visualise the possibilities of the messaging-based experience, above are some examples of RCS demos we developed with some of our UK enterprise clients for the GSMA Mobile World Congress 2018. Customer Service: A customer service chatbot that can answer FAQs to help reduce inbound call volumes at peak times into contact centres. Workforce Management: Automated appointment reminders and rescheduling options for customers can improve operational efficiencies of a business’s workforce to reduce costs for ‘no show appointments’. Marketing: Action buttons and rich media coupons to can streamline the redemption of promotions and rewards to increase marketing ROI. You can learn more about how to use Rich Media messaging channels in the latest eGuide from IMImobile. The Messaging+ eGuide provides insight and guidance on how to differentiate customer engagement and service across new messaging channels. Featuring a list of seven key channels and technologies, arranged by priority rating based on their current capabilities, and exploring how enterprises can take control of an increasingly complex customer communications ecosystem.